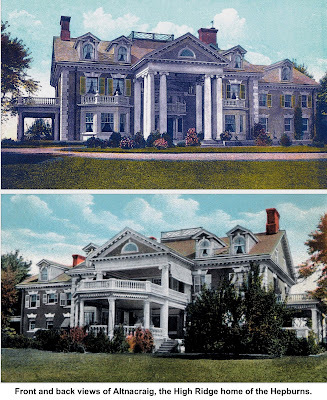 Ridgefield had many notable “summer residents,” New Yorkers who built weekend and vacation retreats that, more often than not, qualified as mansions. 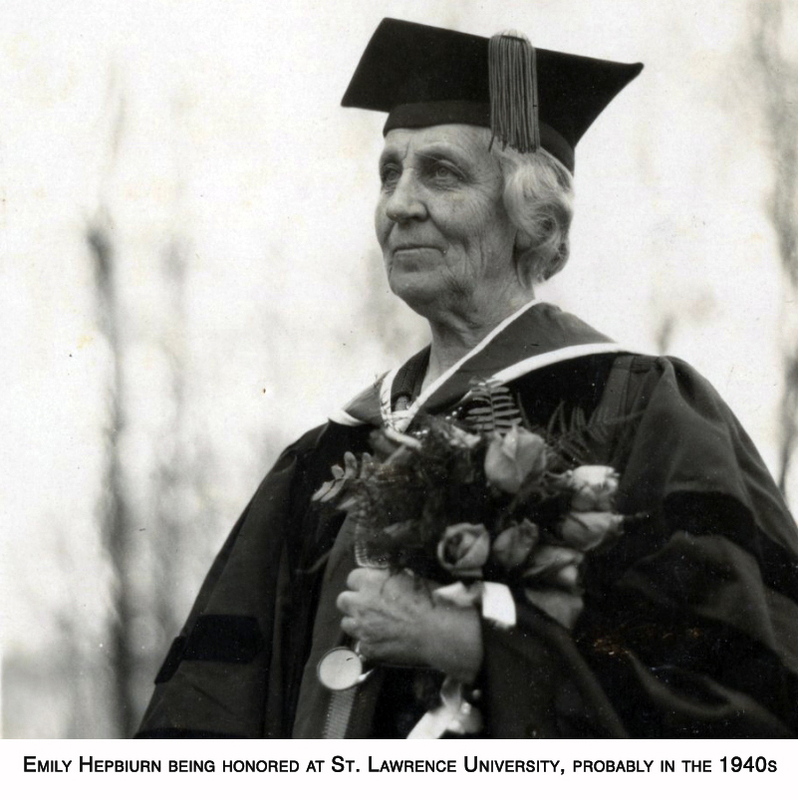 Emily Eaton Hepburn was among the more remarkable of these part-time Ridgefielders, but her accomplishments have been largely overlooked locally. The Vermont native was an 1886 graduate of Saint Lawrence University in Canton, N.Y. where she met her husband, Alonzo Barton Hepburn, then a lawyer and state banking official. He became a leading New York City banker and was named United States comptroller of the currency by President Benjamin Harrison. Barton also met an unlucky end: He was run over by a bus while crossing a city street in 1922. 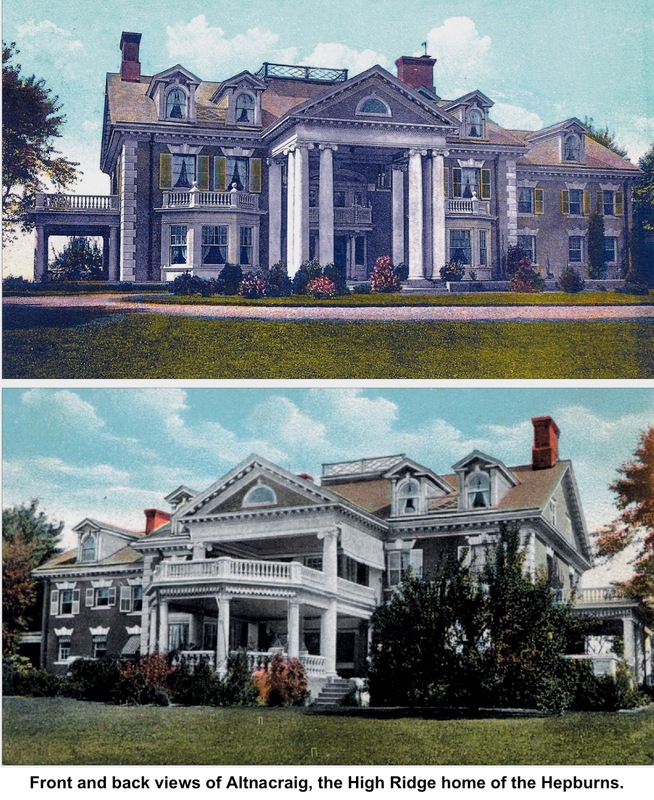 “He was benefactor to Hepburn Hospital in Ogdensburg, N.Y., and six libraries in St. Lawrence County, N.Y., all of which are named for him,” reports St. Lawrence University, where his and Emily’s family papers now reside. 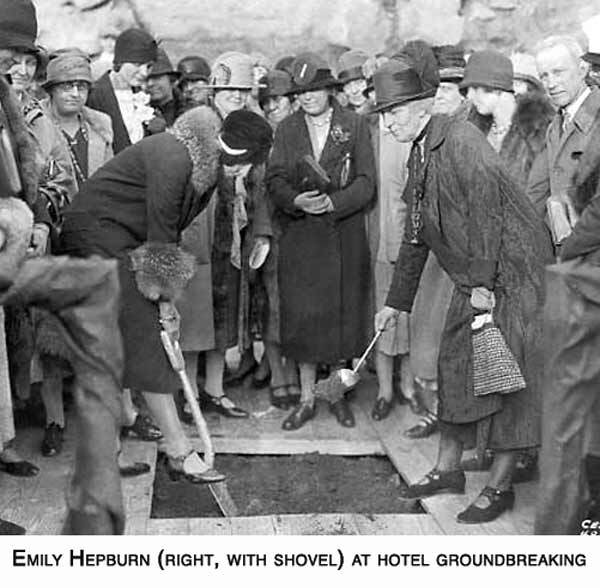 Emily Hepburn had long been active in civic and charitable organizations including the New York Botanical Garden, City History Club for children, Inwood House girls reformatory, and the New York Infirmary for Women and Children. Here, she was a member of the Ridgefield Garden Club, a group that both beautified and promoted the town. She was also active in the suffrage movement and, after women had won the right to vote, she addressed a new need in New York: Housing for young, working women. After the war, many recent college-graduate women were coming to New York to seek careers. In 1924 Mrs. Hepburn and several others built the American Woman’s Association, a high-rise residence for working women, at 353 West 57th Street. result was the 380-room Panhellenic House at First Avenue and East 49th Street, completed in 1928, described in early promotional brochures as “a club-hotel for women.” The 28-story, orange-brick building is considered one of the great Art Deco skyscrapers in New York. “I wanted to prove that women could do big business,” Hepburn once said about her late-blooming career. The quotation appears “Daughter of Vermont,” a biography of her published in 1952, four years before her death. The hotel was not just a residence, but also a place where women could, in today’s parlance, “network,” and learn from each other. One supporter of the project called it “a training school for leadership, a mental exchange” for women. 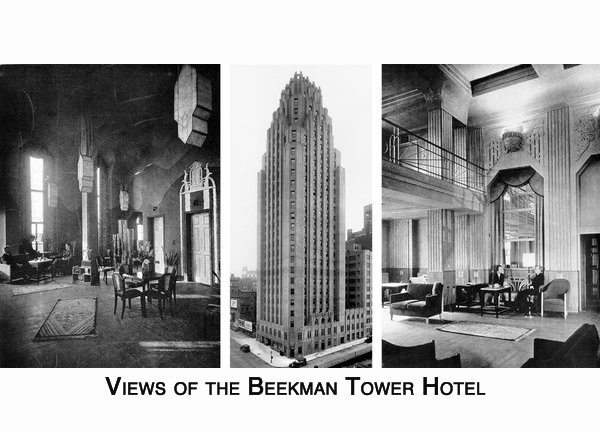 Hepburn, who also built and lived in an apartment building at nearby 2 Beekman Place, found occupancy rates at the Panhellenic House declining during the Depression, and opened the building to men as well as women, renaming it the Beekman Tower Hotel. The hotel continued in business until 2013 when it was converted to long-term residential suites. How’s that for good business sense?